Bringing quality care and support to an aging population calls on many people to work together. Three Links Care Society is only one ‘link’ in a much larger community. Our level of commitment is supported and met by many other organizations and individuals in the health care community. We are also encouraged and supported by the families of our residents. Together, and in partnership, we can make a meaningful contribution to the well-being of those who need extra support to live the fullest lives possible. Check out our career page or see below for job opportunities at Three Links. 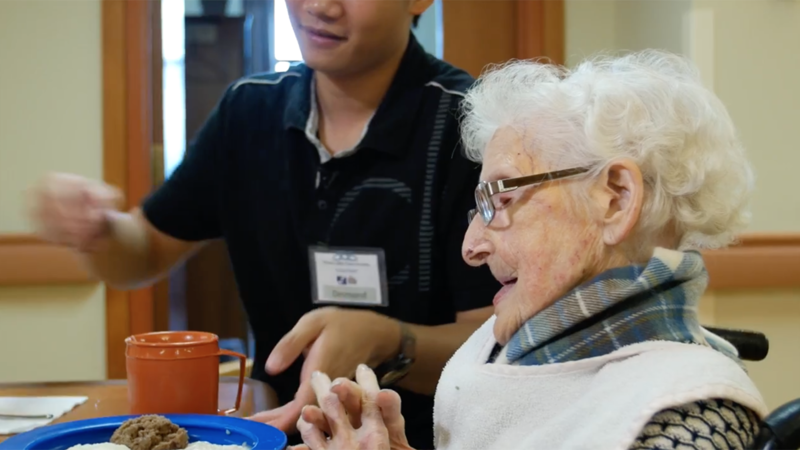 At Three Links Care Society, we work to enhance the lives of those we serve by providing a continuum of health, housing and supportive services in an integrated care model that meets their physical, emotional and social needs. If you are the kind of person who cares about the well-being of others, and who believes that your work life can be one of fulfillment and purpose, we would like to hear from you. Three Links Care Society strives to create a work life environment for staff that promotes and supports the delivery of safe, high-quality care, accommodation, services and programs. In order to meet this objective we support the personal growth and professional development of all Three Links Care Society employees. If you’re looking for more than a 9-5 and you want to make a difference. A career at Three Links Care Society will help you bring positive changes to the lives to those we serve. To apply for a position, please visit our Indeed page, email your resume (Word or PDF format) to jobs@threelinks.com or fax it to us at 604-438-7563 – Attention: Human Resources. Volunteer positions include social visitor, activities host, activities assistant, meal encourager, bus outings assistant and sewing assistant. Visit our Three Links Volunteers Facebook page. Please watch this short video that showcases some of our amazing volunteers and their experiences at Three Links. You can make a difference for senior’s care and affordable housing in Vancouver. The Three Links Care Non-Profit Society has been delivering quality care and housing services for seniors and families in the Renfrew-Collingwood neighbourhood for 35 years. For more information about the Three Links Care Society, visit us at www.threelinks.com or contact Heather Carlson at hcarlson@threelinks.com.